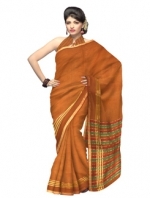 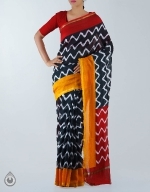 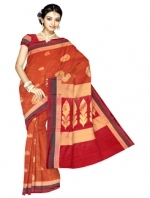 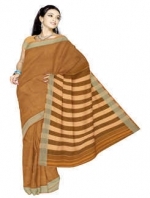 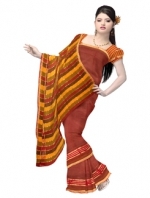 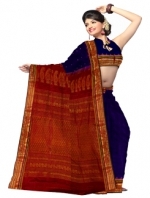 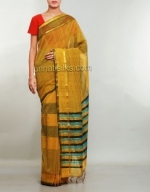 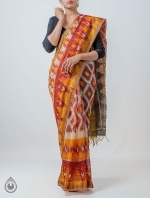 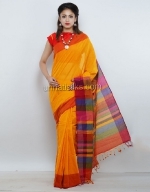 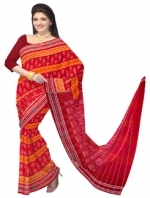 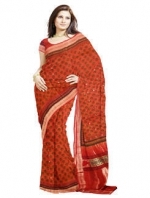 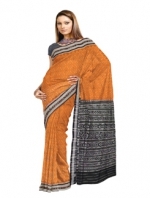 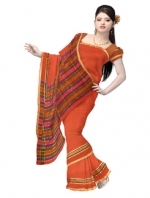 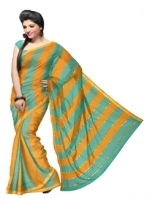 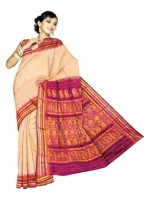 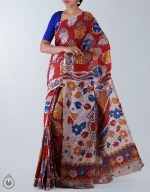 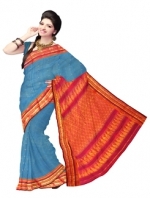 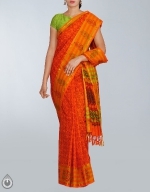 Orange Pure Mangalagiri Cotton Saree with orange blouse. 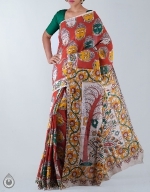 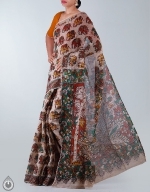 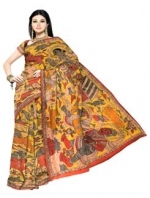 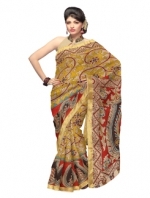 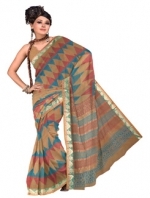 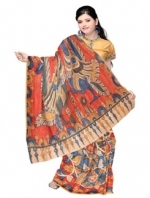 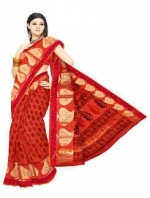 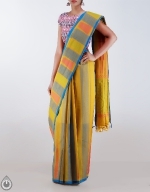 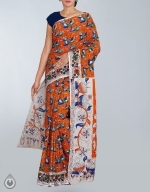 This saree has got all over Embroidery booties along with orange border on either side. 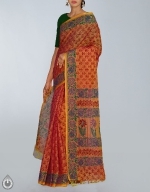 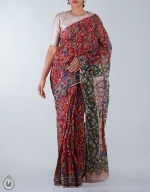 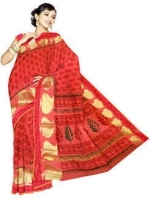 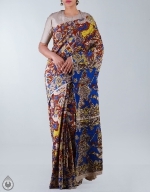 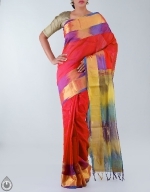 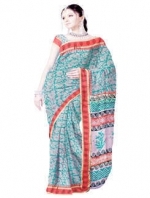 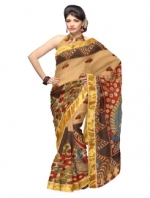 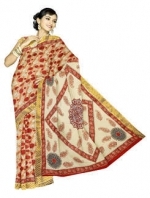 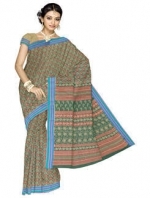 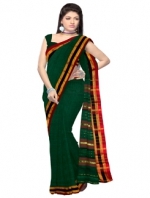 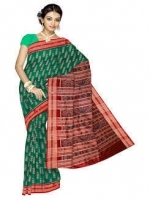 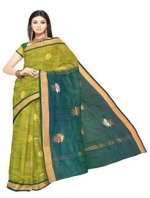 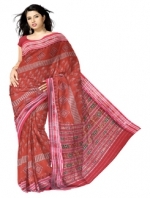 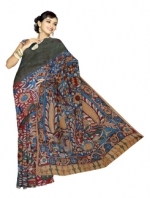 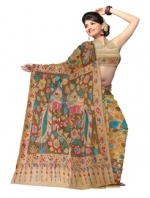 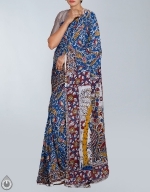 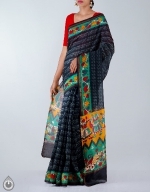 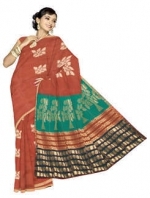 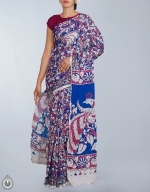 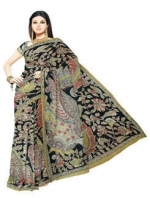 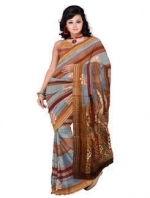 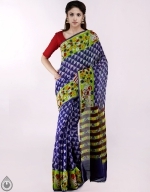 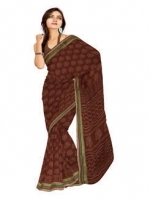 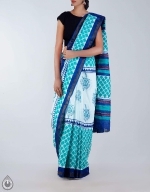 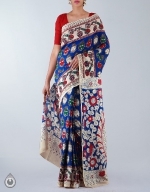 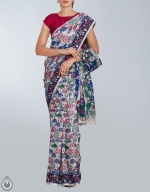 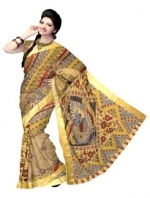 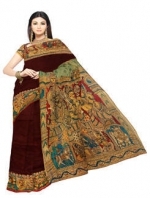 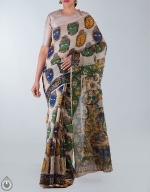 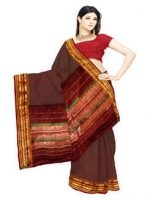 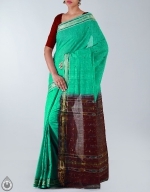 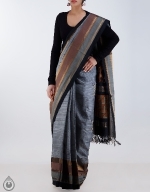 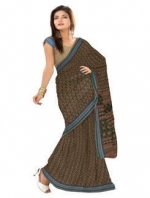 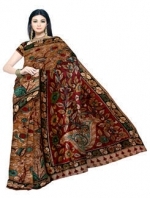 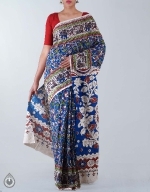 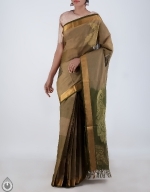 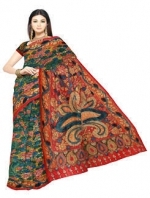 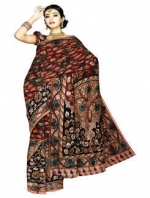 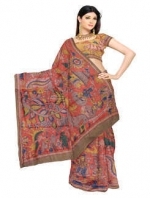 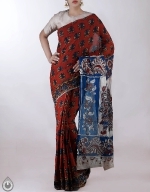 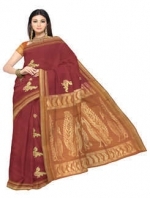 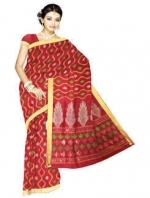 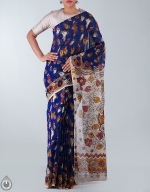 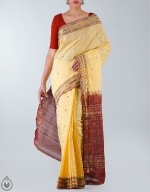 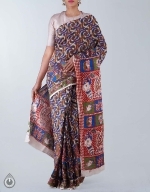 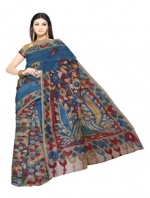 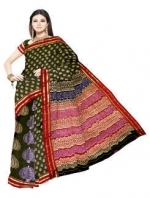 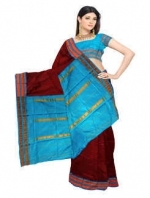 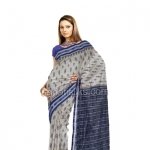 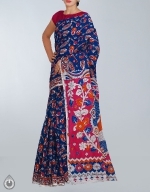 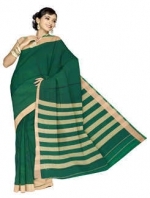 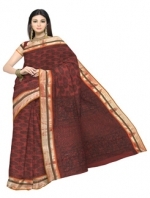 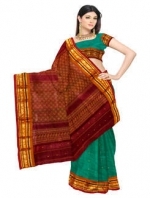 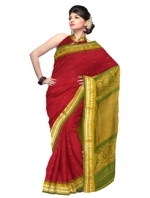 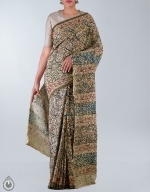 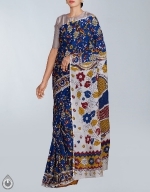 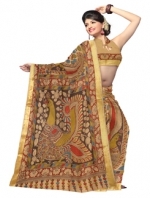 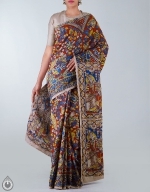 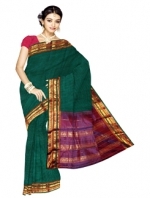 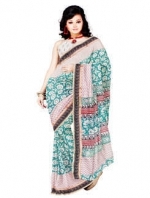 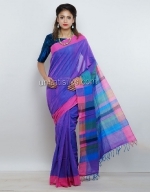 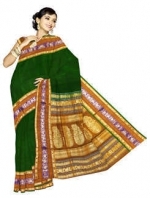 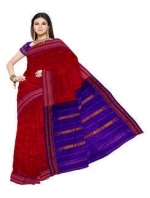 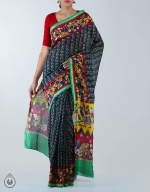 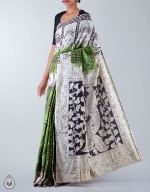 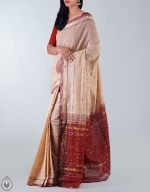 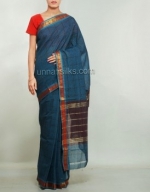 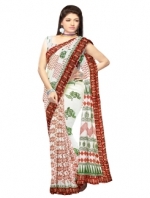 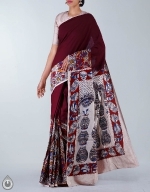 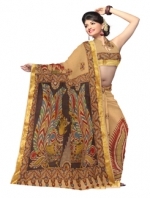 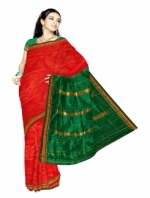 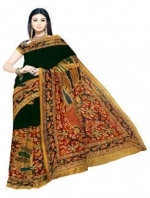 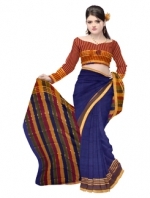 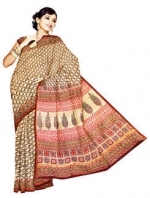 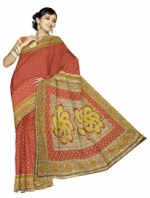 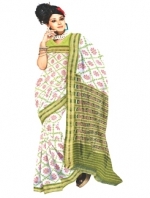 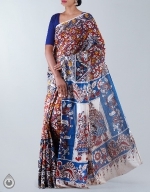 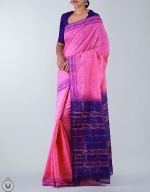 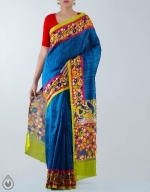 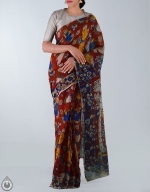 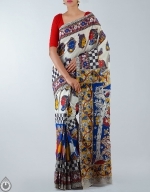 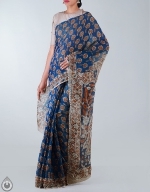 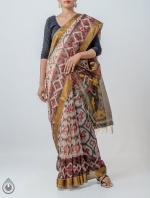 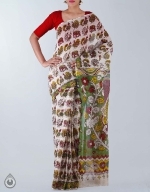 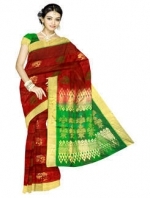 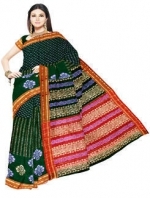 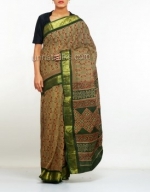 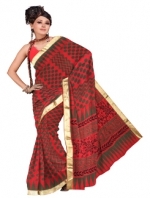 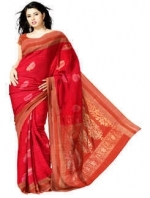 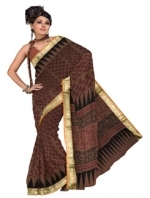 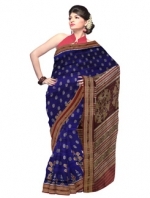 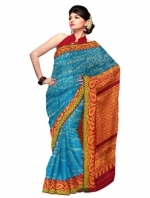 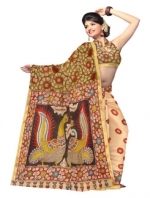 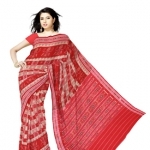 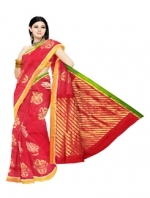 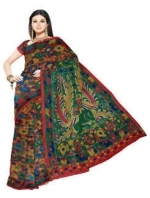 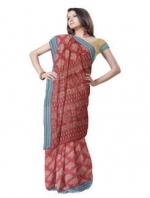 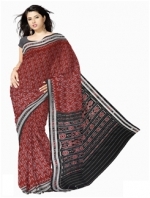 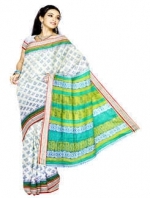 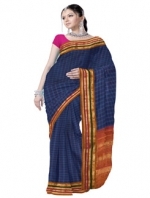 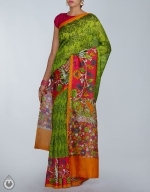 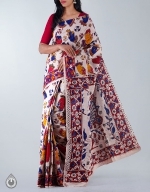 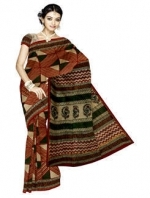 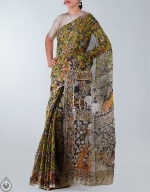 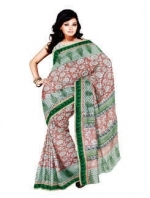 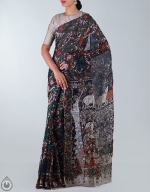 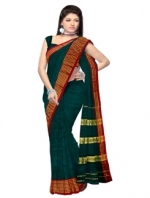 And it has Embroidery elegant pallu. 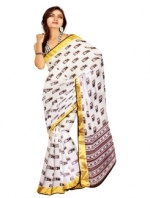 It is suitable for Casual and Corporate.